Even tougher than finding warblers is photographing warblers! It’s a miracle anyone pulls it off successfully. Which brings me to my latest trip to Smith and Bybee Lakes. I have good news and bad news. 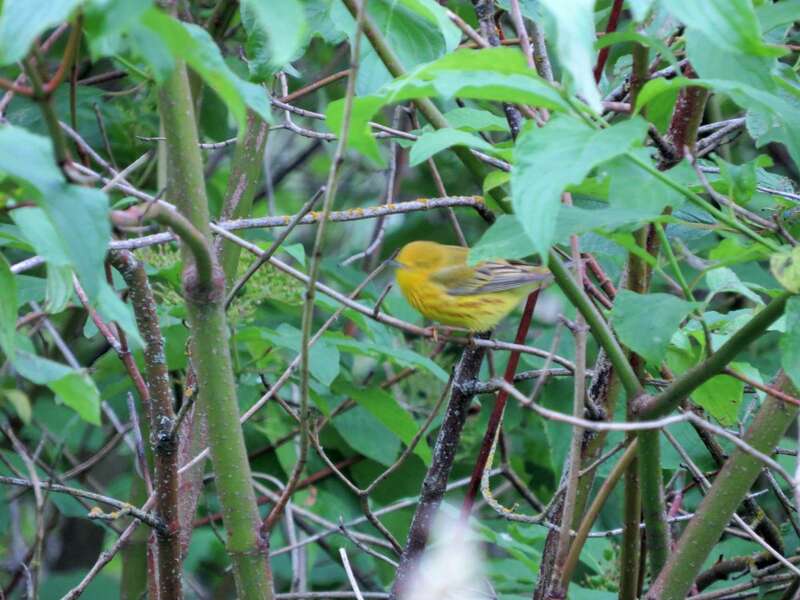 The good news: I saw the Yellow Warbler!!! (Thanks for the tip, Laura!) The bad news: this is the best of my blurry shots. Warm-yellow bird with reddish belly streaks and…a blurry face? Oops. I’ll have to spend more time practicing with this one. I’m okay with that. 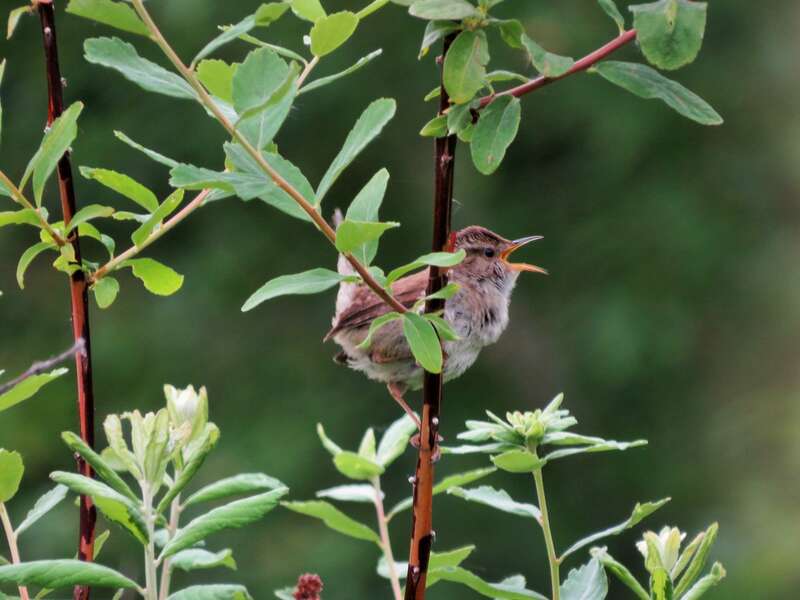 Funny thing though, the highlight of my trip was the Marsh Wren! This little fella was an adorable energetic ball of feathers proudly vocalizing from branch to branch. Actually, several of them were. They made quite the cute chorus. Here is a short video of one. Smith and Bybee is a joy to visit! Hopefully the Yellow Warbler sticks around long enough to give me another chance. 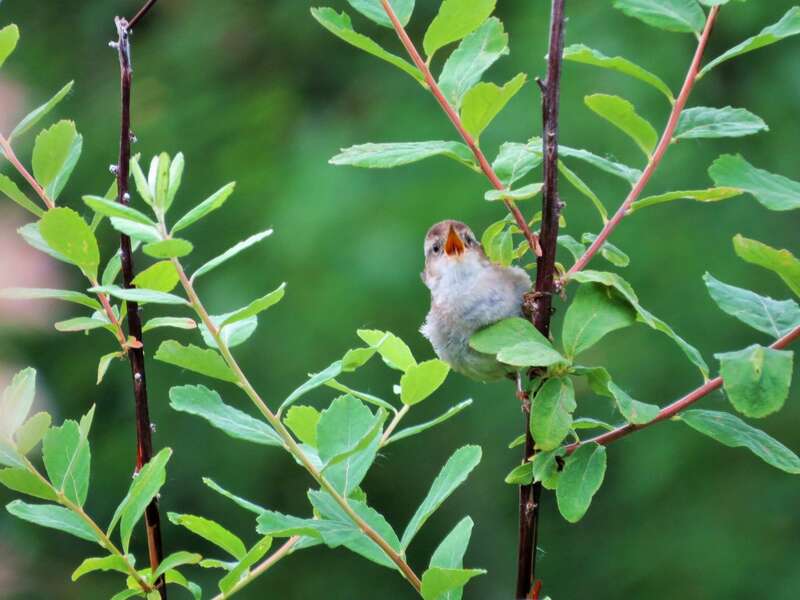 This entry was posted in Birding Trips and tagged American Robin, Black-headed Grosbeak, Cedar Waxwing, Downy Woodpecker, Great Blue Heron, Marsh Wren, Western Tanager, Wilson's Warbler, Yellow Warbler by audge29. Bookmark the permalink. Good for you! Yes, yellow warblers are fast and tough to photograph but I bet you’ll get a good one eventually. That is definitely the go-to spot for them.